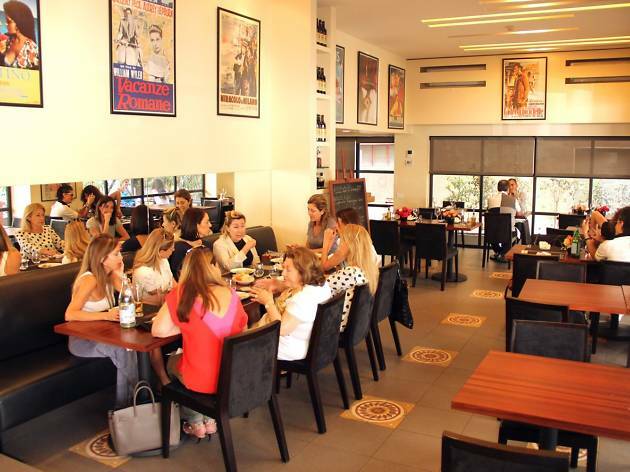 The ruins at Baalbek are all well and good, but if you want more immediate – not to mention digestible – evidence of Italy’s cultural legacy in Lebanon, you need only drop into one of the numerous delightful Italian restaurants in Beirut. Unsurprisingly, pizza predominates, though that’s no gripe when we’re talking about the fine wood-fired offerings at PZZA.CO or Margherita. 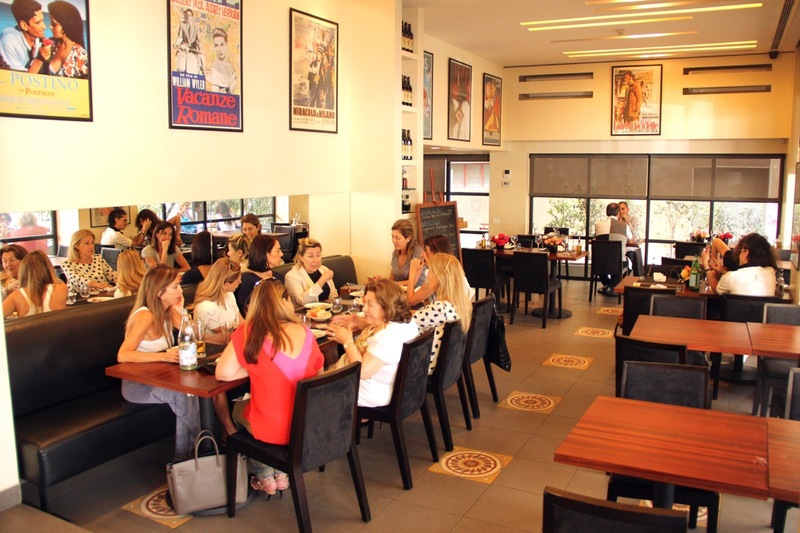 But for the adventurous (and gluten-averse) among you, the Beirut restaurant scene throws up myriad cosy trattoria that serve mama’s home-cooked dishes alongside the usual range of pizza and pasta. What more could you ask for? 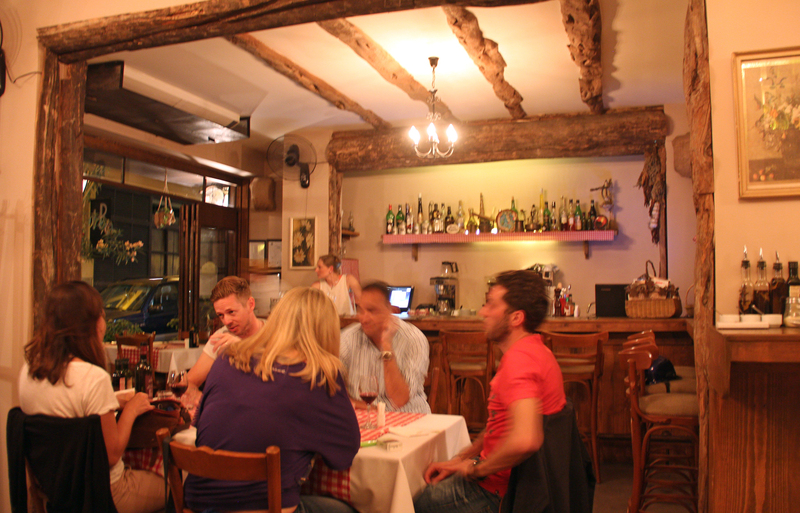 Depending on your tolerance of crowds, Dottore is either cosy and convivial or cramped and loud. 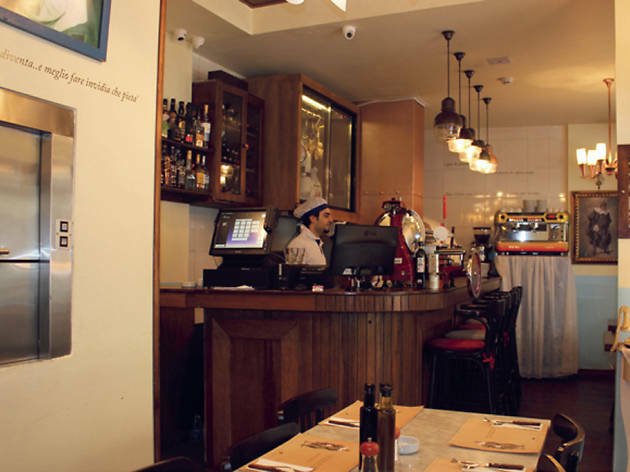 We fall squarely in the former camp: as far as we're concerned, this boutique restaurant in the backstreets of Hamra is one of the funnest, most seductive Italian joints in the city. 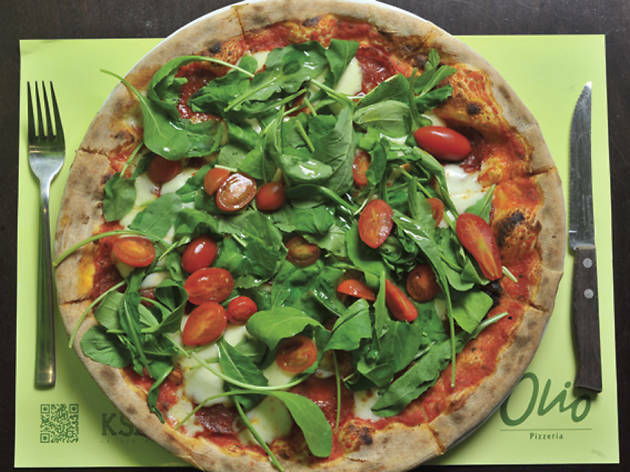 Space is at a premium – but then that's a price worth paying for premium-quality pizzas, all freshly prepared and cooked in a traditional wood-burning stove. 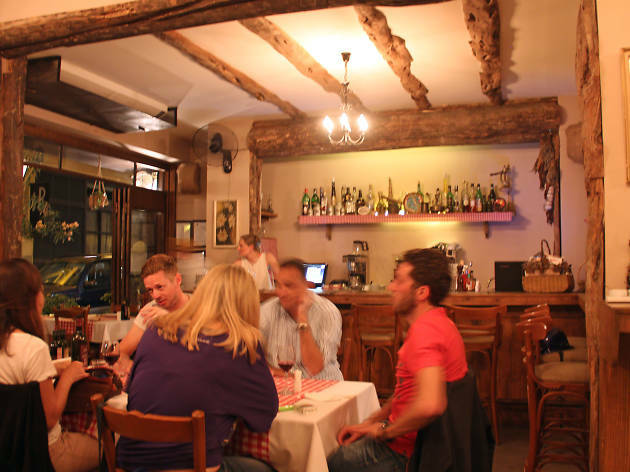 Service is efficient, and a limited range of decent meat dishes and antipasti is also on offer for the benefit of coeliacs and pizzaphobes. Highly recommended. 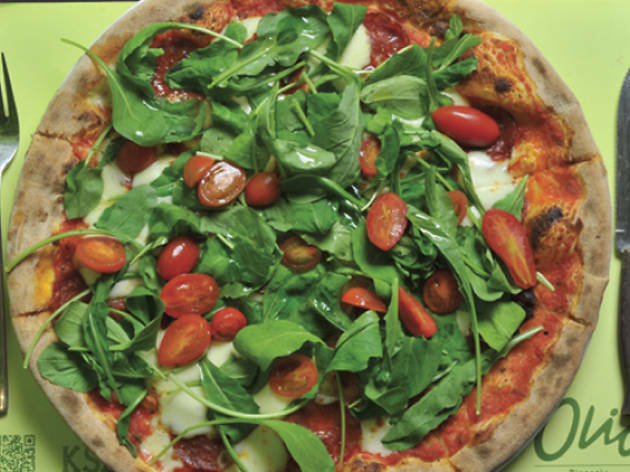 Operating from a number of different locations in the city, Margherita has a well-established rep for friendly service and tasty pizzas, which it's been gradually cultivating ever since the first branch opened its doors in Naples in 1959. 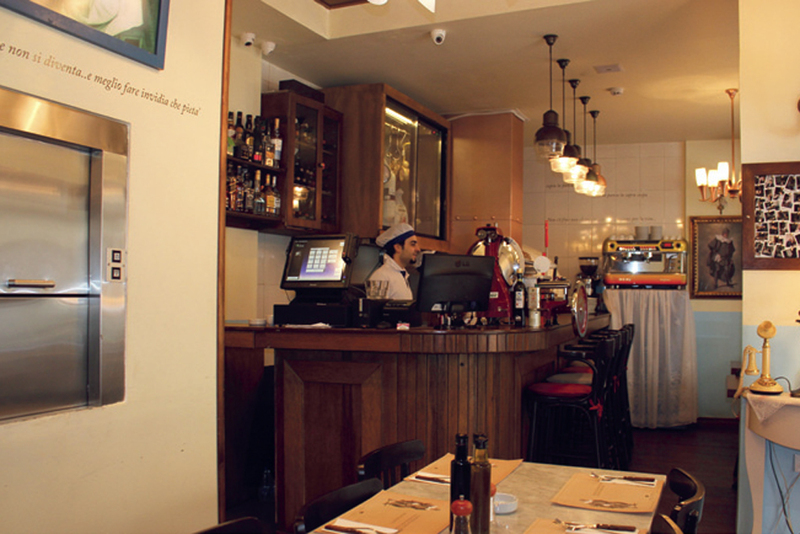 Its claim to offer bona fide Neapolitan food therefore comes with a ring of truth, and there's something reassuringly honest in the plain wooden furnishings and red-and-white chequered tablecloths.The original branch in Gemmayzeh is perhaps the most convivial of the lot, and the pizzas, which are fired up in the faintly sci-fi wood oven that dominates the venue, are as good as anywhere (the mushroom prosciutto is our pick of the menu). 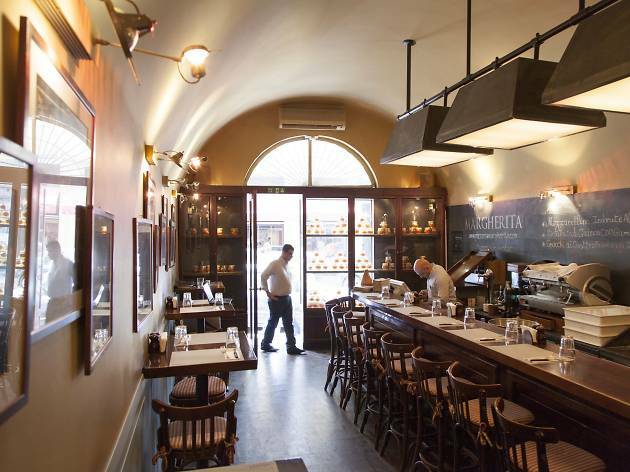 But just as there's more to Naples than pizza, so is there more to Margherita: they offer a wide variety of pastas and other Italian classics. And as if that's not enough, the restaurant has a novel trick up its sleeve. Your bill arrives with a wicker basket full of numbers – guess the number the waiter pulls out, and the meal is on the house! 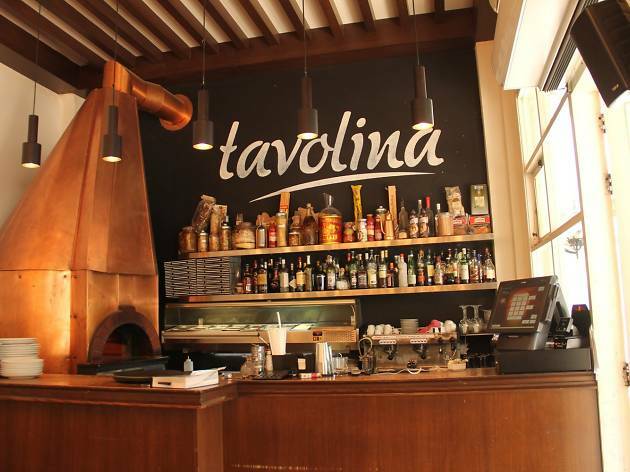 Beirut certainly doesn't want for Italian restaurants. 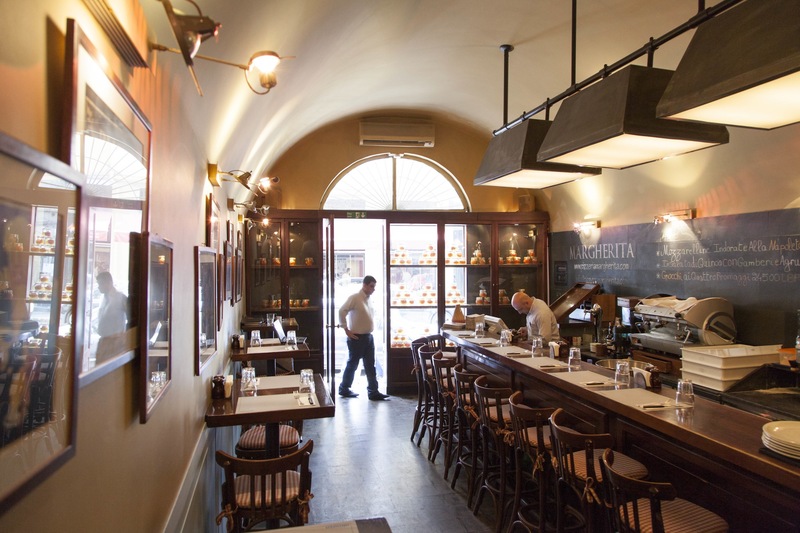 On the face of it, there isn't a great deal to distinguish Marinella from its rivals: classily understated decor, smiling waiters, a decent wine list. 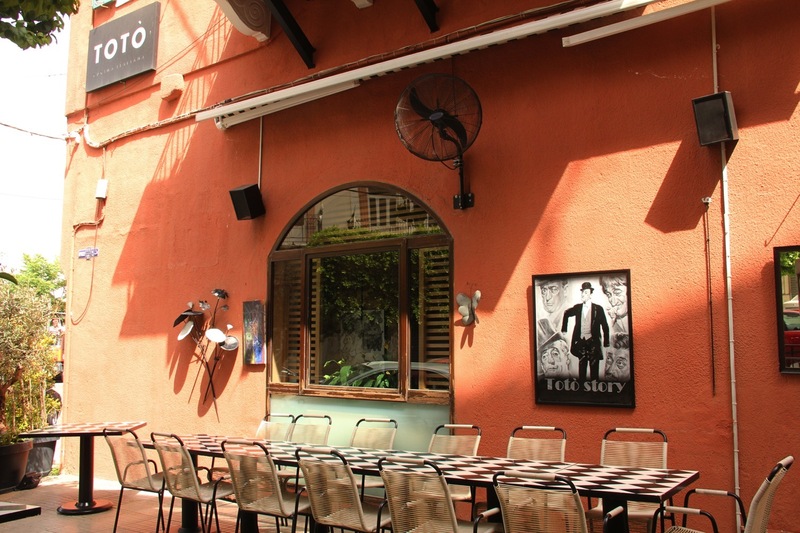 But it's in the details that Marinella edges the competition, from the artfully displayed posters of Marcello Mastroianni and co on the walls to the variety of out-of-the-ordinary pasta dishes on the menu (rigatoni alla vodka, anyone?). They also manage to make something of that least fashionable of ingredients, gnocchi: the lemon sauce dish in particular is to die for. Hip, reasonably priced and ever so slightly offbeat, Marinella is a quiet winner. There is more to PZZA.CO than their apparent dislike of the letter ‘i’. This modish Downtown joint is a sort of culinary equivalent of the chic fashion boutiques that dot the nearby Beirut Souks, what with its airy sixties stylings and upmarket clientele of ladies who lunch. 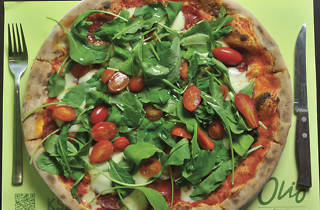 A variety of classic Italian dishes is on the menu, though as the name suggests, it's the pizzas that draw in the punters. These are quite simply among the best in the city: large, light, crisp and perfectly balanced, and embellished by a range of posh variants on the usual toppings (taleggio cheese, truffle oil and whatnot). A handful of sweet pizzas, adorned with nutella and caramel, keep the theme running into the dessert menu. 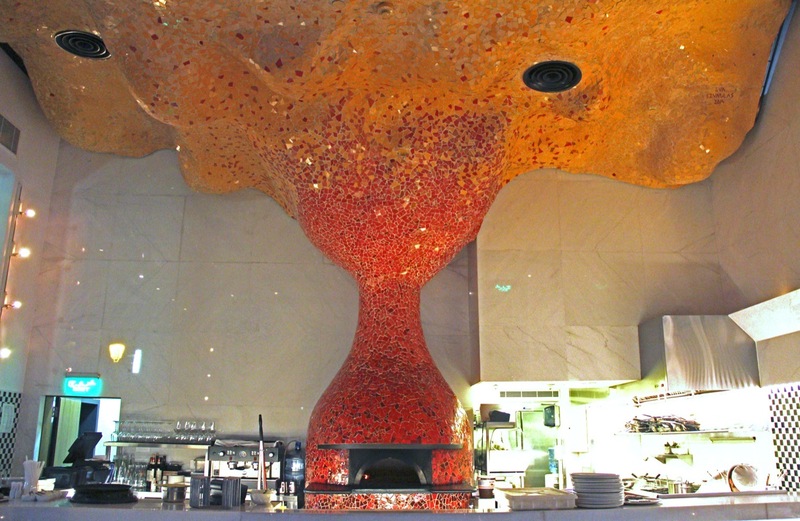 Beware: the swanky dining experience comes with a bill to match. 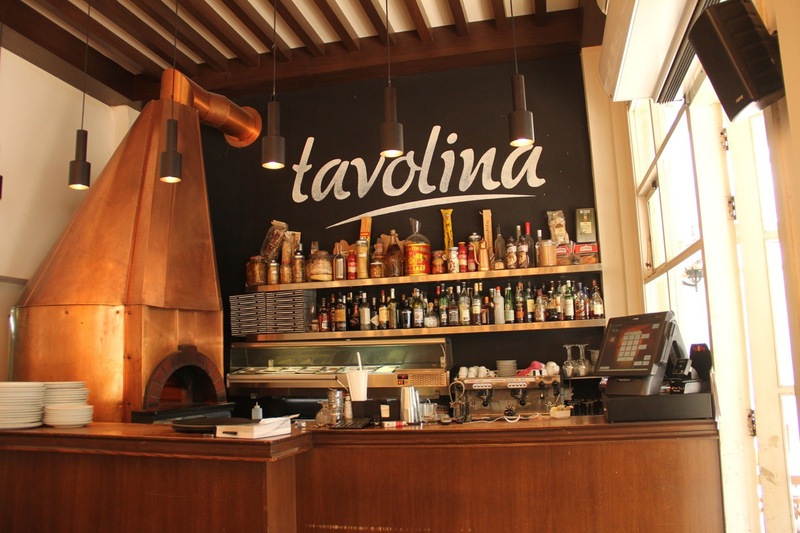 Tavolina doesn’t try to wow you with solid silver cutlery or chairs made from unicorn hide. 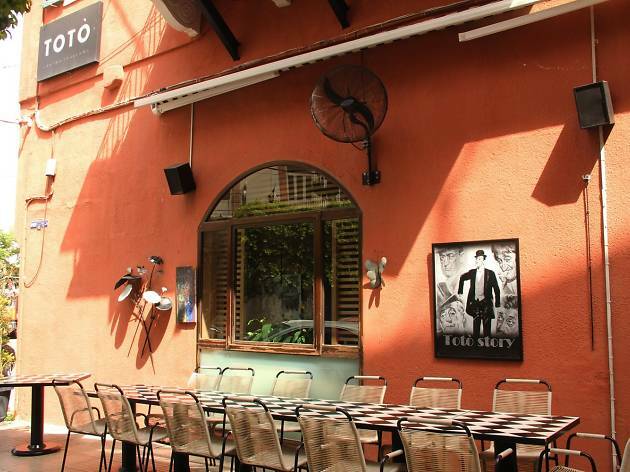 It doesn't double up as a hipster cocktail bar, and it doesn't go for any fashion gimmicks. it focuses on providing friendly service and serving up delectable recipes from the old country – and on these counts it can't be faulted. 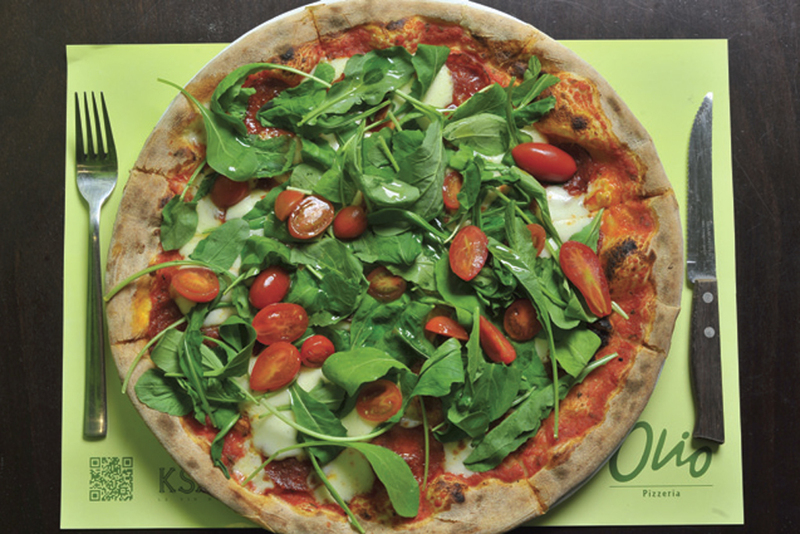 Chef Dani serves up a range of exquisite antipasti, pizzas and pasta dishes from his kitchen; it's all eminently palatable, but the pizza de résistance is the ham and mushroom Bianca, a serious contender for the best of its kind in Beirut. The place is hardly palatial and service slows down considerably during peak dinner hours, but you won't be in a mood to complain. The colour scheme may be set squarely on 'monochrome', yet Totò is anything but drab. 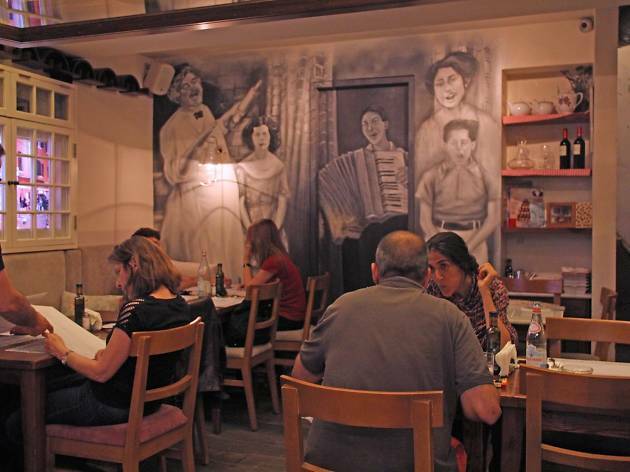 Replacing the popular Chez Sophie, which was run by the same family, the restaurant has toned down the frills and reinvented itself as a trendy Italian eaterie in the mould of a neighbourhood trattoria.The place has one foot in the old country (c.f. 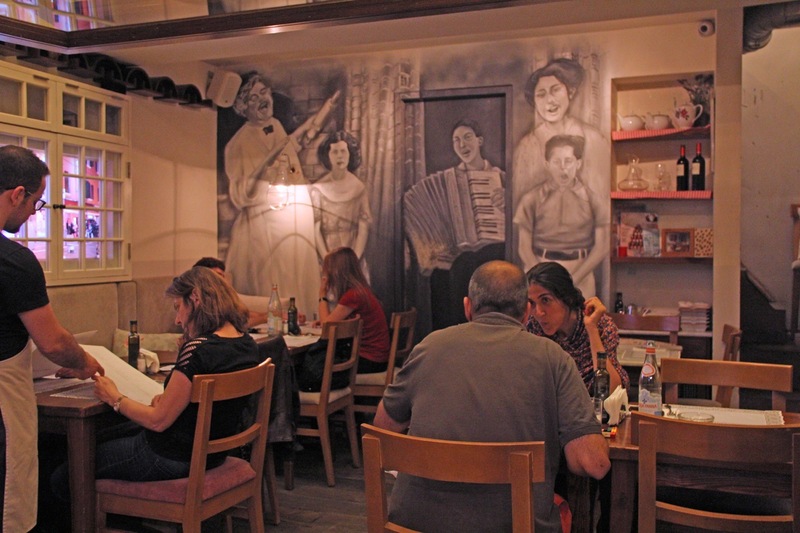 the portraits of Italian cinema stars staring down at you from the walls) and the other in the kind of hard-to-place fusion aesthetic so beloved of the Beirut dining scene. 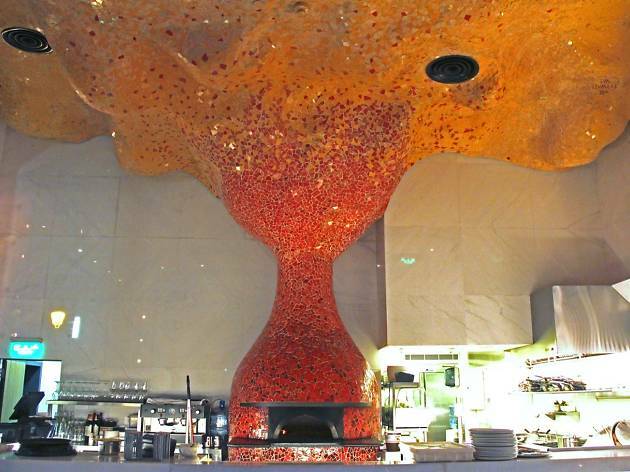 A large pizza oven behind the bar heralds the restaurant's speciality: Totò's pizze are uniformly delicious, and the Metro – any pizza served in a metre-long roll – is something to behold, though a range of salads and antipasti are available for the gluten-intolerant. Angle for an outside table when the weather is nice.